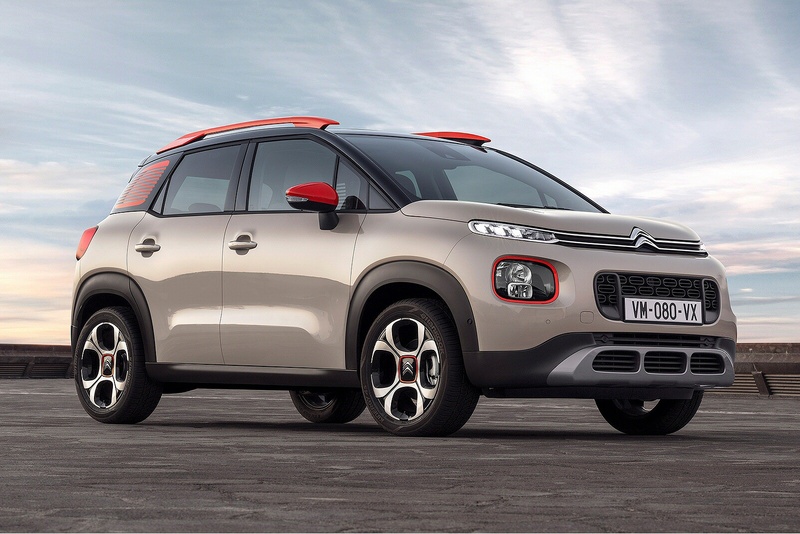 Like most mainstream brands, Citroen knows it has to address the growing market for small SUV Crossovers characterised by models like the Nissan Juke and the Renault Captur. 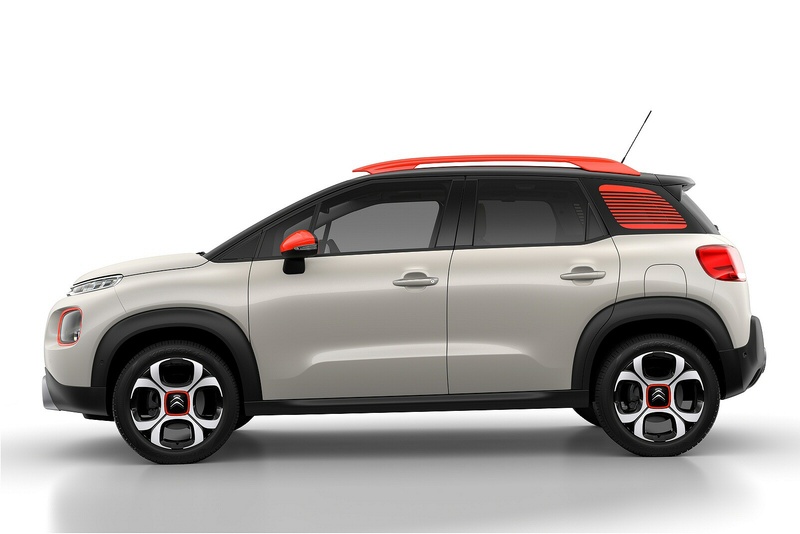 In response, instead of designing a purpose-designed contender to fill this niche, the French maker has produced a version of its C3 supermini, the C3 Aircross. 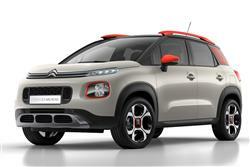 If we hadn't already seen the ordinary C3, we'd be hailing this as a top Juke or Captur alternative. Perhaps it still is. Almost every mainstream brand you can think of is piling into the small SUV market, but most are doing so with cars designed for that segment from scratch. 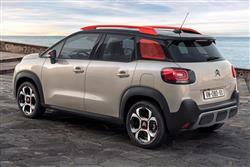 So what should we make of this contender, the C3 Aircross? Citroen says this model was indeed designed for the SUV market from scratch, pointing to the fact that this Aircross variant's introduction was planned for as part of the fundamental development of the third generation C3 supermini it's based upon. Whatever. Certainly, the look is unique, though surprisingly, it doesn't feature the 'Airbump' side panels used on the ordinary C3. Roof rails, unique wheels and extra scope for personalisation should do just enough to please potential buyers. Plus there's a smattering of off road-orientated technology too. 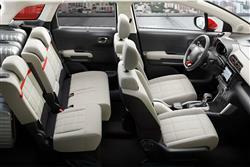 As you'd expect, most of the engineering of this Aircross model is shared with its C3 supermini stablemate. 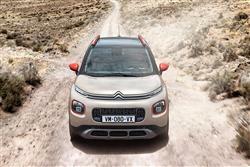 The engines of course are the same, though this SUV-orientated model steers clear of the feeblest C3 units. The range starts with a 1.2-litre 82bhp normally aspirated PureTech petrol unit and there are 11 and 130bh turbocharged versions of this three cylinder powerplant available on request, with the 110bhp variant also being offered in EAT6 automatic form. If you want a diesel, there's the choice between BlueHDi 100 and BlueHDi 120 1.6-litre derivatives. It's a pity the turbocharged PureTech petrol engine isn't more affordable because this really is a very sweet little unit. The turbo nearly doubles this little powerplant's pulling power and the result is that overtaking moves that'd be white-knuckle manoeuvres in the entry-level 82bhp model can be safely completed with hardly a thought. 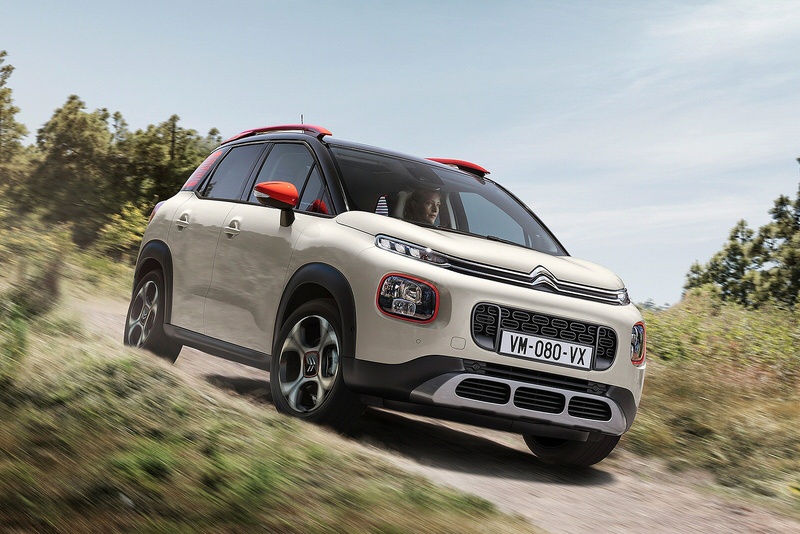 As for the Aircross changes, well this would-be SUV introduces new technologies to the C3 range, including Grip Control with Hill Descent Assist to help in the very unlikely event of an owner being brave enough to take this little Crossover off road. The enhanced traction system clams to provide control and safety even on steep inclines, reducing the risk of slipping or acceleration as the vehicle descends in forward or reverse gear. The C3 Aircross aims to dominate the road with its raised ground clearance, elevated driving position, front and rear skid plates, large wheels and wheel arch extensions. The body styling is underscored by strong graphic features such as touches of colour on the roof bars, and the 'Venetian Blind' rear quarter-lights. Inside, the ergonomically designed seats are paired with ingenious storage spaces and an uncluttered dashboard. The continuous 360o glazed area and opening panoramic sunroof fill the cabin with light, meaning even greater visibility for both the driver and passengers. The car's centre-dash 7-inch colour touchscreen is there to de-clutter the dashboard but goes too far by including ventilation controls and concealing them behind menus that can be awkward to instantly access when you're using the screen's other functions. As for practicality, well there's a split sliding and folding rear bench, plus 60/40 split-folding and adjustable seat backs. The boot is large by class standards at 410-litres and can be further extended up to 520-litres with the sliding rear bench option available on the Flair trim level. Prices start at around £14,000, which represents a premium of around £2,000 over the ordinary C3 supermini. There's a choice of three trim levels, 'Touch', 'Feel' and 'Flair'. Most buyers will be opting for the latter two spec levels, in which case a budget in the £15,000 to £20,000 bracket will be needed. This striking SUV has a number of personalisation options. The exterior bi-tone roof, standard on the Flair trim level and available in three colours can be complimented by one of the four exterior colour pack options, giving a total of 85 combinations. 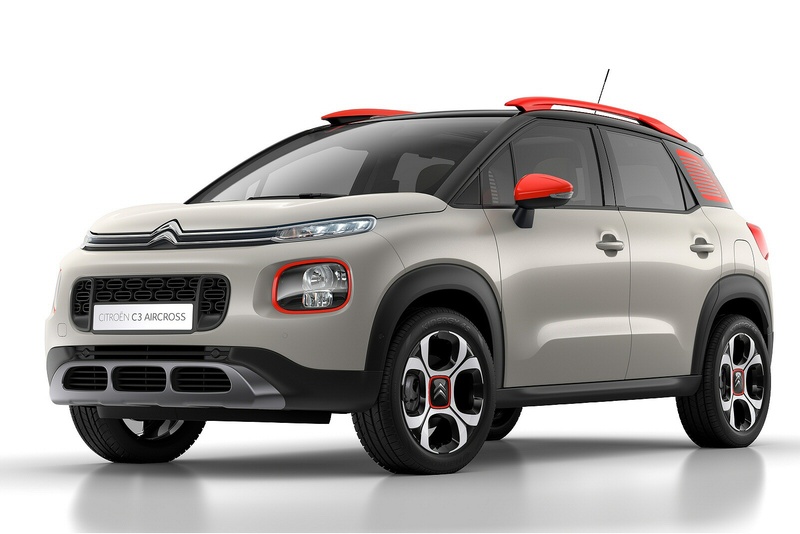 The C3 Aircross also features coloured light surrounds, plus special treatment for the door mirrors, wheel centre caps, rear quarter windows and roof bars. Inside, customers can select between five different interior ambiences comprising of special seat upholstery, a range of dashboard textures and door panel designs, and touches of colour on the central console surround, steering wheel, air vents and seat backs. Connectivity and infotainment is taken care of via a 7-inch touchscreen which groups together the key vehicle functions such as air conditioning, radio, telephone and Sat Nav. Safety-wise, there are up to 12 driving aids, including a colour Head-up Display, Speed Sign Recognition, an Active Safety Brake system, Intelligent Beam Headlights, Park Assist, a reversing camera, Lane Departure Warning and a Blind Spot Monitoring set-up. Almost every fashionable type of technology has been thrown at this car to drive its running costs down and, as you'd expect, the best returns can be achieved from the BlueHDi diesel models. Go for the entry-level BlueHDi 100 variant and you can expect over 80mpg on the combined cycle and 104g/km of CO2. If you're able to stretch to the top BlueHDi 120 model, the CO2 figure is 107g/km. Don't automatically sign on the dotted line for a diesel though, particularly if, like many supermini owners, you don't cover a huge number of annual miles. In the Pure Tech petrol range, the entry-level 82bhp 1.2-litre unit delivers around 55mpg on the combined cycle and 116g/km of CO2, while even the far pokier 110bhp unit manages 115g/km. The top PureTech 130 petrol variant is rated at 119g/km. Every C3 Aircross comes with a three-year and 60,000-mile warranty and there's also Europe-wide breakdown assistance included from new for the first year you own the car. Looking at the longer term, you also have a 12-year guarantee against rust and 36 months cover for any paintwork defects, though that doesn't include stone chips and other wear and tear damage. If you�re looking for a new Citroen C3 Aircross 1.2 PureTech 110 Flair 5dr EAT6 Petrol Hatchback for sale, you�ve come to the right place. 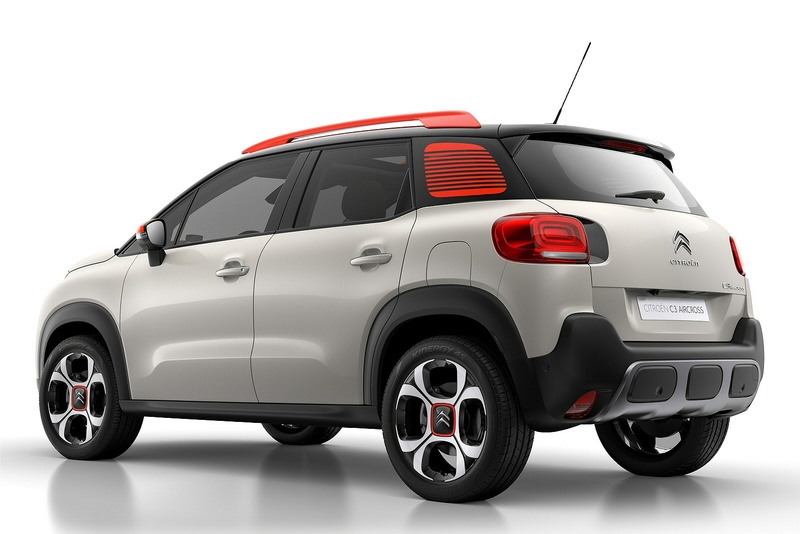 At Bristol Street Motors we don�t just have the best Citroen C3 Aircross 1.2 PureTech 110 Flair 5dr EAT6 Petrol Hatchback deals, we also offer friendly advice and help with all your enquiries to ensure your buying experience is a happy experience.